The 93-year-old money father is very different from the previous year. He moved away from the old house that had lived for more than 40 years because of the shed change, and lived a rented house like a young man. But this is an experience he has never had before. The location of the father is the Hangzhou that has been officially declared to be the fifth first-tier city. In addition to being a "paradise on earth", Hangzhou is still a city. From Yan'an Road in the downtown area to Lin'an streets in the 10th district, there is no exception. The story of the richness of the demolition overnight has been heard a lot, very envious, and very inspirational. Hangzhou naturally has many such cases. However, the change in the policy orientation of shacking monetization last summer made these cases a thing of history. The demolition of riches did not exist. Most of them were “removing money with houses for relocation and relocation” and the anxiety about the property market under the policy. "Demolition is rich? It does not exist"
In the last wave of the tamping monetization policy tightening last year, Qin Nan bought a house, more than 110 square meters, the average price of 18,000 yuan / square meter, the total price of rough house is nearly 2 million yuan. This Spring Festival, she and her parents can only be in the old house of thirty or forty square meters. The home of the 85-year-old single girl was demolished last year. The house of more than 120 square meters received less than 1.8 million yuan in compensation. On the last day of April last year, Qin Nan’s family suddenly posted a piece of paper: a demolition announcement with a red circle. "And just a few days ago, my mom just received a notice that the demolition will be delayed until last year, and everyone has enough time to find a temporary place to live, choose a new house or a second-hand house. But, yes, This is the case in my family, and I was demolished without warning!" Qin Nan's house is the fund-raising room of her father's unit, more than 120 square meters. Within a week of posting the demolition announcement, Qin Nan and her parents were urged to complete a series of procedures such as house measurement and decoration evaluation. Judging from the materials provided by her, the main types of compensation include demolition subsidies, decoration subsidies, rent subsidies, moving subsidies, etc., as well as a price award, a coordination evaluation award, and a positive vacancy award. The total amount is less than 1.8 million yuan. “A lot of people say that the high prices in Hangzhou in the past two years have been speculated by the relocated households. There is certainly no me, because our family’s demolition money can’t buy a set of rough houses.” The 100,000 one-dollar fee may not be able to buy a house. Although this is not an ideal time to take (in July 2018), we are just in need. Therefore, do not directly define the relocated household as an upstart, at least My family is not." Qin Nan told the reporter of "Daily Economic News". In April 2015, the General Office of the People's Government of Hangzhou issued the “Guiding Opinions on Promoting the Monetization of Housing Security” and vigorously promoted the monetization reform. The document proposes that in the resettlement of state-owned land, if the expropriated person chooses monetary compensation, the expropriation department will compensate the expropriated person's residential house at the estimated price, and then give monetary subsidy at 20% of the assessed price. If the expropriated person relocates on time and purchases a residential house within 12 months from the date of receiving the monetary compensation, according to the tax payment voucher for purchase, the expropriation department shall reward the 22% of the assessed price of the expropriated house. The effect of the huge reward policy is also first-rate. One year later, in June 2016, the General Office of the People's Government of Zhejiang Province issued the “Notice on the Action Plan for Structural Reform of Real Estate Supply Side in Zhejiang Province”. The first article is to promote the monetization of sheds and propose the monetization rate of sheds. In principle, it is necessary to achieve more than 50%; innovative "house tickets", group purchases, etc., to guide the purchase of inventory of commodity housing. According to media reports at the time, "A year after the policy was introduced, the proportion of monetization in Hangzhou in 2016 has exceeded 50%, and the proportion of repurchased commercial housing has exceeded 70%." In addition, according to Anjuke, in December 2015, the average house price in Hangzhou was 16,000 yuan / square meter, and after one year (December 2016) was 22,000 yuan / square meter, an increase of nearly 40%. By December 2017, the average price reached 28,000 yuan / square meter, an increase of 75% in two years. Among them, Linan, one of the demolition areas, the average price in December 2015 was 6576 yuan / square meter. By December 2017, the average price has reached 15,000 yuan / square meter, and the increase in the two years exceeded 100%. Nearly 150%. In 2017, Hangzhou was born with countless myths of overnight riches, and it also gave birth to many demolition stories due to the illegal construction in the early years. For example, the monetization resettlement price of the Sibao unit and the Qibao unit B-C2-01 in Jianggan District is about 36,000 yuan/square meter. If calculated according to a family of 5 people, 55 square meters per person, the compensation amount will exceed 9.5 million yuan. Together with various subsidies and incentives, the cost of a householdized monetary resettlement is nearly 10 million yuan. The compensation plan for the monetary resettlement of Huafeng Village in Xiacheng District is: 5.8 million yuan for one person in the family, 6.6 million yuan for two people, 7.4 million yuan for three people, 8.2 million yuan for four people, 9 million yuan for five people, and 9.8 million for six people. Yuan, 7 people, 10.6 million yuan. The fewer people, the more cost-effective. Qin Nan said that many of his friends circle are rural homesteads. The approval of real estate licenses in the early years has not been compliant, so the demolition negotiations are very different. “It looks like a building, but there are two real estate licenses, which are compensated according to the number of people, and become a local tyrant overnight. In another case, there is only one real estate license in one building, and the owner feels unbalanced. Trying to resist, even jumping off the building. But the policy is like this, and no one can do anything in the end." Under the guidance of the plan of “Five-Years in the Reconstruction of the Villages in the Main Urban Areas” (Hangzhou City proposed in 2016 to complete the transformation of 178 main urban villages in five years), 2017 became the largest year of demolition in Hangzhou in recent years. It is hard to find a room in the whole market. Many people "hold thousands of cash and look around for a house." According to the "Daily Economic News" reporters incomplete statistics, includingGezhoubaReal Estate, China Metallurgical Real Estate, Power Construction Real Estate, OCT, and Jinke, Lujin,Daming CityNearly 20 developers, including etc., also completed the first round of layout for Hangzhou in 2017. Among them, Gezhouba won the Jiangcun plot on June 15, 2017, with a total price of 4.327767 billion yuan, a floor price of 31,698 yuan / square meter, a premium rate of 70%, and a self-sustaining area of ​​44%. At this time in Hangzhou, the relocated households in the city, the house was not demolished, the new house was not built, the money has been reached, the demand for the property market has soared, and the supply is in short supply. Corresponding to this is the land transfer fee that is climbing. According to the Central Reference Institute, the turnover of the Hangzhou land market in 2016 was 159.39 billion yuan, a year-on-year increase of more than 150% compared with 63.05 billion yuan in 2015. In 2017, this figure was 216.09 billion yuan, ranking second in the country, second only to Beijing. One detail worthy of attention is that according to the 2017 Hangzhou Statistical Report on National Economic and Social Development, the financial revenue of Hangzhou City was 292.13 billion yuan. By 2018, Hangzhou’s land transfer fee was 249.8 billion yuan, surpassing Beishangguang and ranking first in the country. On the issue of land sales, the Hangzhou Municipal Government actively targeted the first-tier cities. In April 2018, Hangzhou began to implement the lottery to buy a house, and the big turning began. In addition to buyers, there are a number of intermediaries who have done business in the room number before. “It’s not good for business.” The intermediary Wang Yan said: “The far suburbs can still make a few orders until July and August last year, but they are not there now. The location is different, the developers are different, and the fees are different. There are three to five thousand to ten thousand to all. At the peak, you have to buy the relationship, but you can't buy it. You can buy a house with a thousand dollars. The money is very fast. Some people who want to buy are demolition. Most of the households are the kind of full-buy customers who are the developers' favorite." Qin Nan also recalled that in July last year, she consulted a local developer's popular real estate. At that time, their highest fee had been fired to 150,000 yuan, and it had to be related. “Beginning also started, because the whole market is really hot. Everyone is discussing how to get a good house. Many of them are hand-held, and there is a feeling that they can't buy a house if they miss it.” She continued: "Our family bought in the far suburbs, that is, after that, I bought it, more than 200 houses, more than 1,000 numbers, we are No. 93, and we chose a relatively ideal apartment." "Daily Economic News" reporter found that in the "red disk" frequency of the last month, the lowest rate of the property market in Hangzhou has reached 0.14%, that is, 4441 households rushed to buy 6 suite sources. In stark contrast to this, it is the number of “flowing” (ie unsuccessful) numbers that have been increasing since August last year. According to the "Hangzhou Buying House Shake Assistant" small program, before August last year, the number of monthly "flowing" properties in the Hangzhou property market remained in single digits. However, since September last year, the number of “flowing” properties has started to climb, reaching 66 in the last month of 2018. According to the reporter's understanding, the completion rate of a fine decoration project in Rongchuang at the opening of last year was over 80%. Later, even no need to buy it. According to the "Daily Economic News" previously reported, on October 8, 2018, the State Council executive meeting clearly pointed out that the local government should adjust and improve the vacant monetary resettlement policy, and the cities and counties with insufficient commodity housing stocks and high housing price pressure should cancel the currency as soon as possible. Resettlement preferential policies. The property market triggered by the demolition has finally begun to cool down. According to Anjuke, after July 2018, the average price of the whole city of Hangzhou began to slowly fall after hitting the peak of 29,300 yuan / square meter. In December of the same year, it was 28,700 yuan / square meter, and in February this year it was 28,100 yuan / Square meters. In Hangzhou today, the demolition work is still going on. In the words of the old man, "The two years of Hangzhou can be seen everywhere. When you pass by today, those houses are still there. Maybe it will be ruins after passing by tomorrow. I just didn't expect to be so young. Rent a house like that." For Hangzhou, the possibility of demolition is indeed a special way to pass this period of regulation. It is worth noting that after the turnaround of the shed-reformed monetary resettlement policy, in the 2022 Asian Games concept, the release cycle, how likely is Hangzhou to become the fifth first-tier city? Wuliangye rose 50%! Buy a good price case in detail! 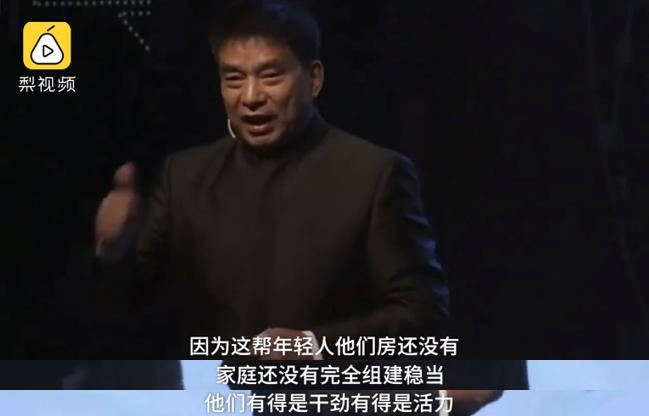 Liu Yonghao: The first line is for young people to take over. They have no room to work hard. The five major banks of the financial management company have all been approved for the new trillions of funds to come. The number of Chinese buyers is less. The Melbourne property market is also frustrated. How expensive is Hong Kong's rent? Even the Hong Kong Securities Regulatory Commission must move out of Central! January production and sales continued to decline year-on-year. Passenger car sales fell 17.7%.